First cut a 5 3/4" x 9" piece of pink card stock and fold it in half for the base and a 4 1/4" x 5 1/2" piece of gray for the front layer. 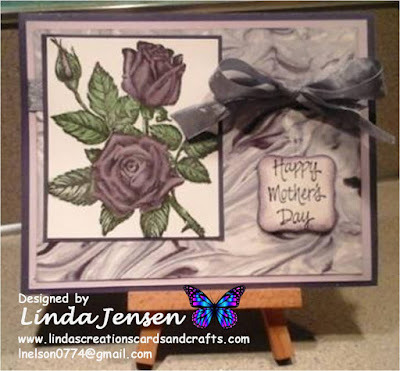 Then emboss the bottom edge of the front layer with a Darice Lace embossing folder and set it aside. Next stamp the gray heart in Stampin' Up! Smoky Slate ink and the smaller ones in Pink Pirouette and Soft Sky inks. Then cut out the hearts with the Hearts a Flutter Framelits dies. Next stamp the sentiment in Smoky Slate ink with a stamp from the Stampin' Up! Itty Bitty Banners set and cut it out with a matching framelits die. Then begin assembling the card. First attach each of the following with mini pop dots: the large heart from the Stampin' Up! 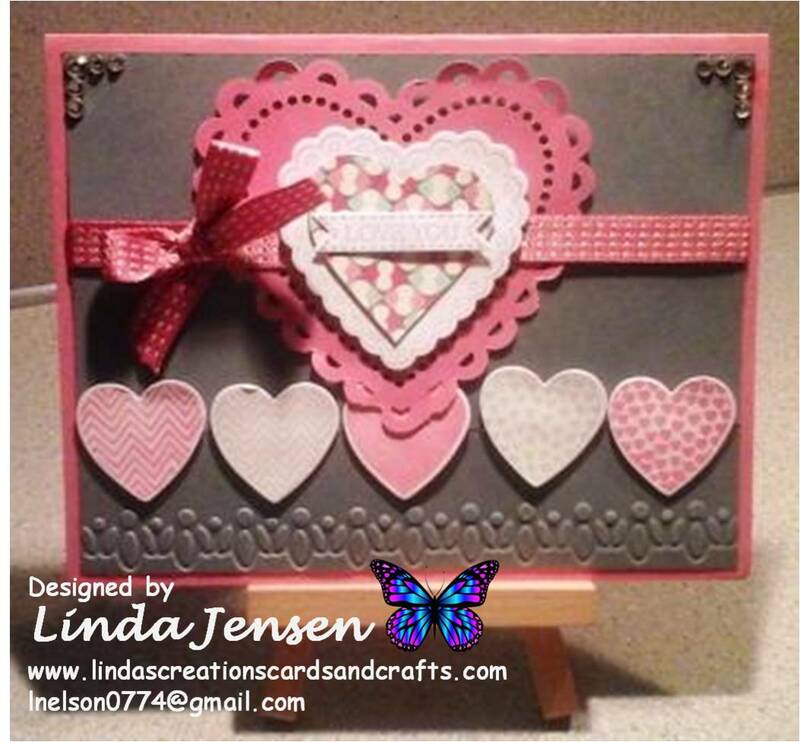 More Amore Designer Series Paper stack, then the Primrose Petals ribbon (with adhesive), then the Smoky Slate heart, the heart cut out of More Amore Designer Series Paper and the sentiment. Next attach the Pink Pirouette and Soft Sky hearts along the bottom with mini pop dots, add the self-adhesive rhinestones, attach the front to the base and enjoy!